The Lawrence Police Dept. is asking the public for help in regard to two recent church thefts. 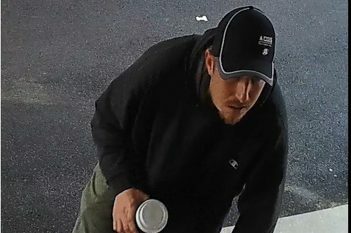 A person has been observed entering churches while they were open and stealing cash and personal items. In one instance, a church employee saw the suspect enter the church, take the church deposit bag and then flee. The first theft occurred Dec. 22 at Cornerstone Baptist Church, 10700 E. 56th St. A male entered the church, and he took an employee’s purse and its contents. 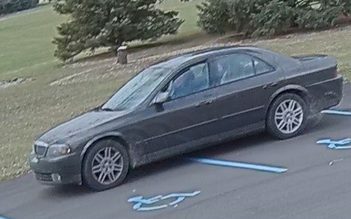 Church security cameras caught the male driving away in a dark Lincoln sedan. Several days later, some of the purse’s contents were discovered nearby. The contents were returned to the owner, but the cash and some other items are still missing. The second theft occurred Jan. 7 at Lawrence United Methodist Church, 5200 N. Shadeland Ave. An employee reported a male entering the church, saying he possibly lost his phone there. The suspect was then observed taking the church deposit bag which contained cash and checks. Then, the suspect left the church in a dark sedan. A press release from the Lawrence Police Dept. describes the suspects as a tall male, mid-late 20s, with brown hair, unshaven facial stubble, wearing a baseball-style cap and driving an older Lincoln sedan. Anyone who recognizes the suspect or anyone who has information should contact Crime Stoppers of Central Indiana by calling 317-262-TIPS.